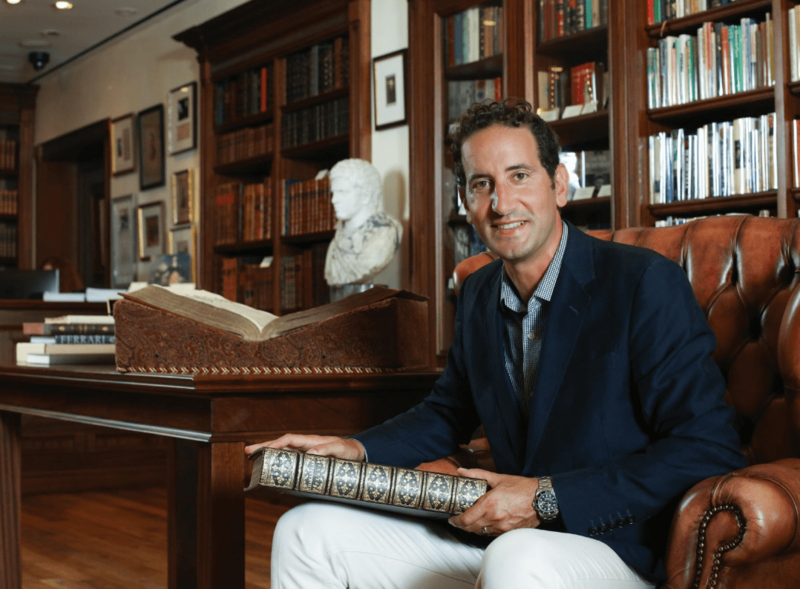 At a time when some brick and mortar antiquarian bookstores are closing their doors in favor of an internet-only presence, Matthew and Adrienne Raptis, of Raptis Rare Books, have gone against the grain and recently opened a rare bookstore on Worth Avenue in Palm Beach. Worth Avenue, like Madison Avenue or Rodeo Drive, is synonymous with luxury brands and caters to an island that is home to the rich and famous, including the new President-elect, Donald Trump. 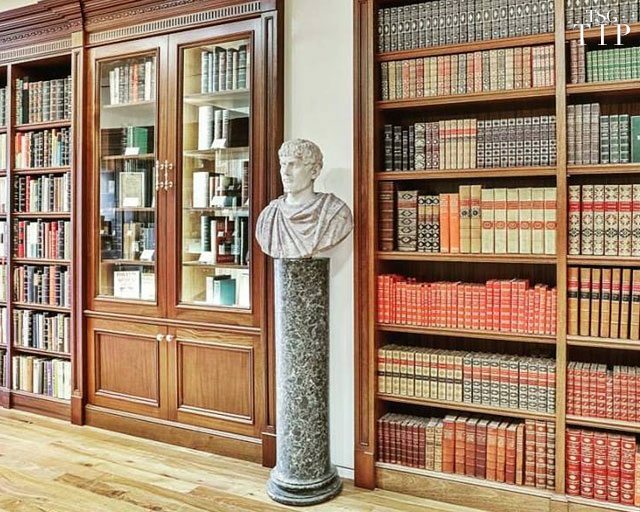 Almost all of the books in the Raptis Rare Books inventory are first editions and many of them are signed or inscribed by the author. Matthew and Adrienne refer to the new store as a gallery because “like fine art, in a way it is like stepping into a museum.” Unlike a museum, however, these items can actually be purchased and customers can find a wide array of books in nearly every genre and to suit every budget. “We also want the space to be a place where people can come relax,” Matthew said, and the new gallery offers comfortable library chairs, complimentary espresso and cappuccinos for customers, and will be offering various events and readings. 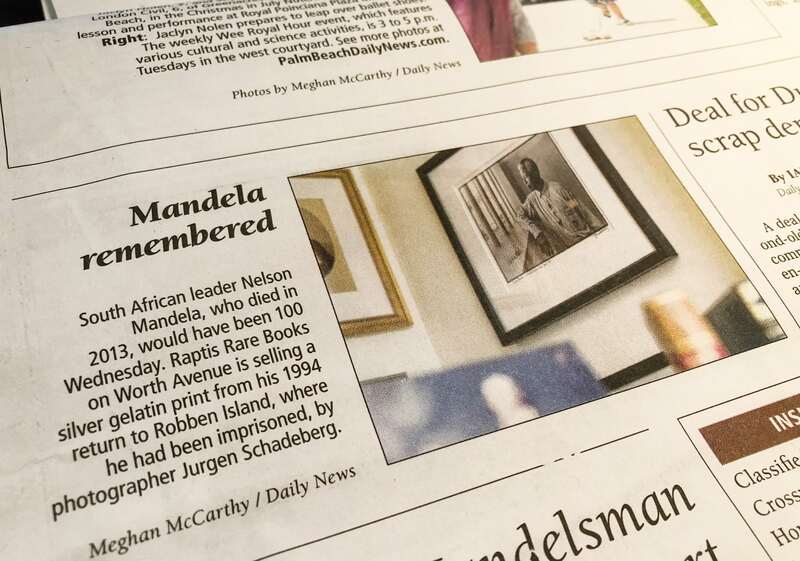 “We want it to be a space where people with literary interests can come together,” Adrienne Raptis concluded. Raptis Rare Books still has a vibrant online presence and produce catalogs brimming with treasures. You can browse their most recent catalog here or email them to request a print version. They ship all over the world and specialize in building private libraries, working with private collectors with a specific wish list, helping individuals find the ideal gift for special occasions, and partnering with representatives of institutions. As the cold weather approaches, the idea of escaping to sunny Florida and browsing rare books in elegant surroundings seems like the perfect weekend getaway. 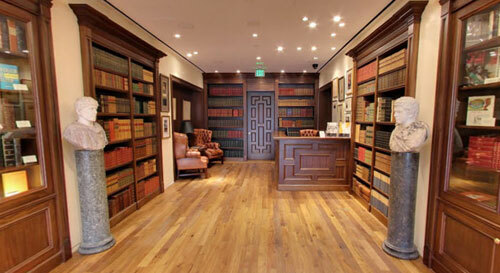 Raptis Rare Books can be found at 226 Worth Avenue, in Palm Beach, Florida. They are open Monday through Saturday from 10am to 6pm.